The Vancouver Rowing Club is situated near the Georgia Street entrance to Stanley Park. 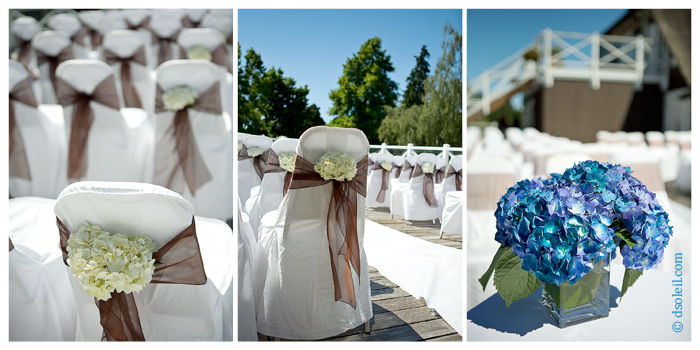 It’s one of the more popular casual outdoor venues in Vancouver and features an intimate view of the Burrard Inlet, Stanley Park, and the harbour front of downtown Vancouver. Parking can be an issue if you have a lot of guests driving to the venue. Make sure you ask them to arrive early to find parking. There’s a small pay parking lot just down the road, but it’s often full on summer afternoons. Not to worry, most people park for just a short period and it wouldn’t be too difficult for your guests to find a spot with a little patience. 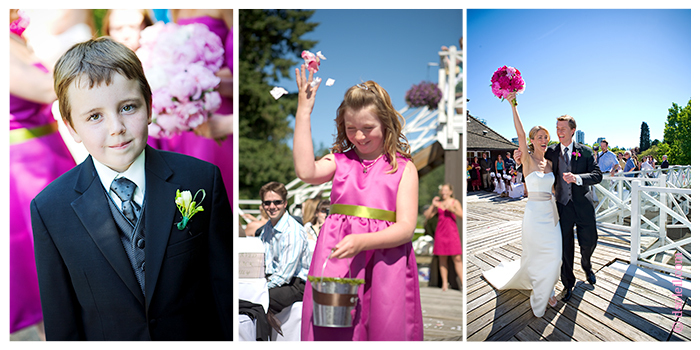 Most wedding ceremonies are held on the patio over-looking boats and passersby along the sea wall. 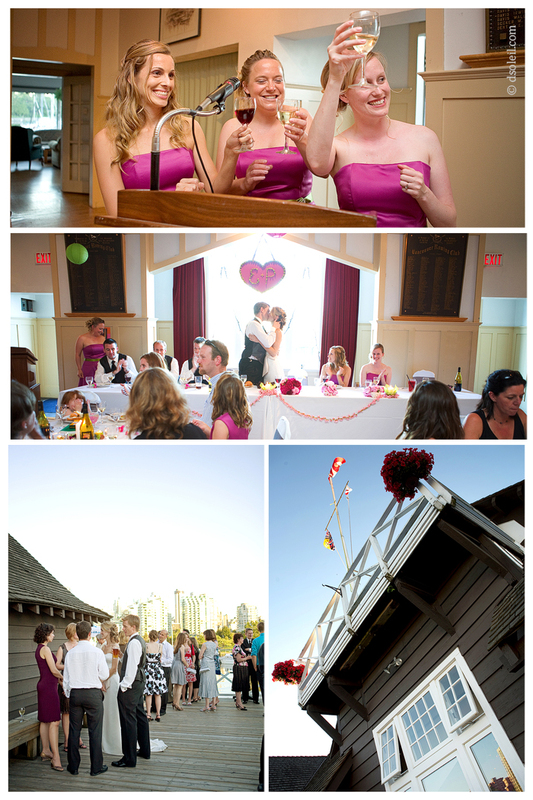 You can get a great shot of your ceremony and all your guests if your photographer shoots down from the second story. 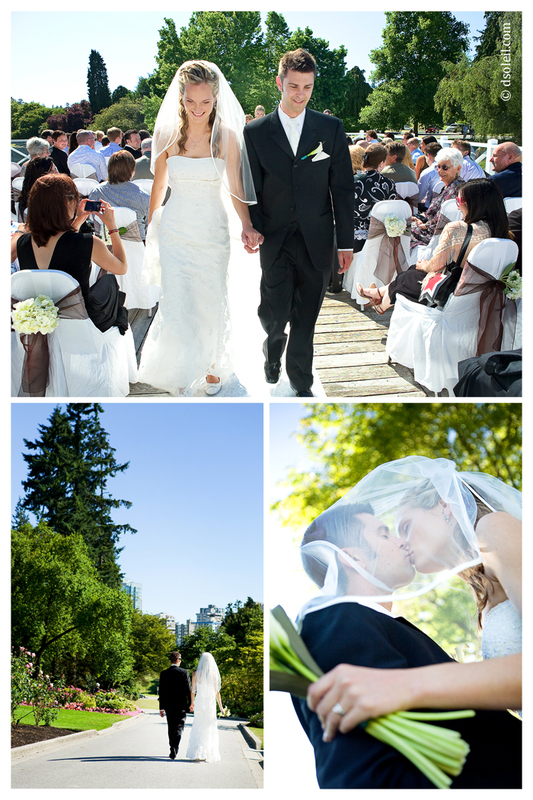 Most couples have their wedding portraits taken on the patio and then around Stanley Park. I recommend staying away from the tourist areas unless you don’t mind having strangers appear in your photos. Your best nearby bet would be to take a little stroll to the area by the Rose Garden. For some reason, that area has fewer visitors than other locations nearby. However, if you can, hop in the car and go for a ride around the park and you’ll find a ton of photo locations. The Harbour room is where most large dinner receptions are usually held, but don’t be surprised if your guests take to the patio immediately after dinner to enjoy the gorgeous Coal Harbour skyline and enjoy the cool outdoor air, especially if you’re having your wedding in the summer (the Harbour room can get a little warm on those hot summer evenings). The Club doesn’t take bookings until October, so be sure to act quickly as soon as bookings are accepted. Be sure to check out their website for details. I really love your work! So natural and candid! Fantastic wedding photography! Vancouver is on the hit list of destinations for me! The pictures along with the location is beautiful! I miss Vancouver alot! Nice work!